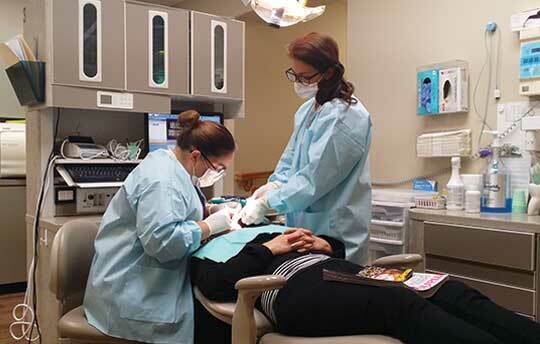 Perez Family Dental has been serving families just like yours in the Fort Worth area since 2000. Dr. Azzah Mary Perez, D.D.S. focuses her practice on meeting the various dental health needs of families and individuals with compassionate, ethical, personal attention and the highest level of medical skill. Dr. Perez’ treatment philosophy is a simple one: Dr. Perez endeavors to treat every patient like her own family. She believes every patient deserves compassionate and professional dental health treatment and maintenance. She treats her patients with the same skill and kindness she would want her own family members to receive. Background & training: Dr. Perez received her Bachelor of Science at the University of Texas. She received her Doctorate of Dental Surgery at Baylor College of Dentistry, and continues with ongoing education to keep up to date on the latest advances in dental treatment techniques. Dr. Perez is a member of the Fort Worth District Dental Society, Texas Dental Association, and the American Dental Association. She lives in Fort Worth with her two beautiful daughters.